institutions in Malaysia. The study highlighted the psychological, socio-cultural and work challenges. the expatriates, combined with efforts of peer expatriates, parent firms and host organizations. Asma, A. (1992). Understanding the Malaysian Workforce: Guidelines for Managers. Kuala Lumpur: Malaysian Institute of Management. Asma, A. (1996, February 16). Delights, puzzles and irritations of Malaysian culture to foreigners. New Straits Times. Aycan, Z. (1997). Expatriate adjustment as a multifaceted phenomenon: Individual and organizational level predictors. The International Journal Of Human ResourceManagement, 8 (4); 434-456. Barto, K. M. and Martin, D.C. (1998). Management (3rd Ed.). Boston: Irwin McGraw-Hill. Berg, B. L. (1998). Qualitative Research Methods for the Social Sciences (3rd ed.). Boston: Allyn and Bacon. Caliguiri, P. M., and Cascio, W. F. (1998). Can we send her there? Maximizing women on global assignments. Journal of World Business, 33 (4); 394-416. Elashmawi, F. (2000, February 19). Cross-cultural negotiation. New Straits Times, 8. Elashmawi, F., and Harris, P. R. (1993). Multicultural management: New skills for global success. Houston: Gulf Publishing Co. Fish, A., and Wood, J. (1996). A review of expatriate staffing practices in Australian business enterprises. International Journal of Human Resource Management, 7 (4); 846-865. Foster, N. (2000). Expatriates and the impact of cross-cultural training. Human Resource Management Journal, 10(3), 68-78. Harrisons, K. (1994). Developing successful expatriate managers: A framework for the structural design and strategic alignment of cross-cultural training progeam. Human Resource Planning, 17(3), 17-35. Hofstede, G. (1980) Motivation, leadership and organization: Do American theories apply abroad ? Organizational Dynamics, Summer, 42-63. Hutchings, K. and Ratnasari, S. W. (2006). Cross-cultural non-work transition stress: Domestic transferees in Indonesia. Cross Cultural Management: An International Journal, 13(2), 114-131. 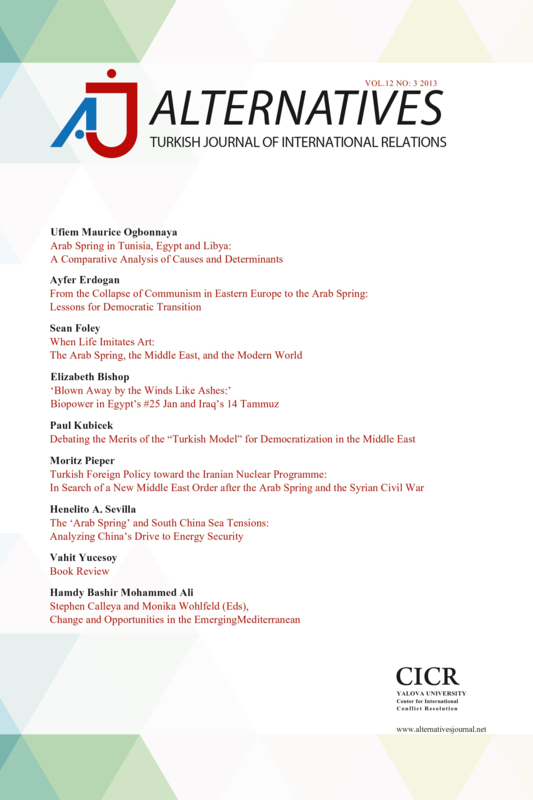 Alternatives: Turkish Journal of International Relations, Vol. 6, No. 3 &4, Fall & Winter 2007 99 Malaysia (1999). Statistical Report Dated from 01/01/1998 to 31/12/1998. Kuala Lumpur: Immigration Department of Malaysia. Malaysia (2000). Statistical Report Dated from 01/01/1999 to 31/12/1999. Kuala Lumpur: Immigration Department of Malaysia. Richardson, J. & McKenna, S. (2002). International experience and academic career: What do academics have to say? Personnel Review, 32(6), 774 – 793). Shephard, P. (1996). Working with Malaysians - expatriates' and Malaysians' perspectives. In Asma Abdullah (Ed. ), Understanding the Malaysian Workforce - Guidelines for Managers. pp 144-155. Kuala Lumpur: Malaysian Institute of Management. Tung, R. L. (1998). American expatriates abroad: From neophytes to cosmopolitans. Journal of World Business, 33 (2); 125-144. Ward C. and rana-Deuba, A. (2000). Home and host culture influences on sojourner adjustment. International Journal of International Relations, 24, 291-306. Zakaria, N. (2000). The effects of ceoss-cultural training on the acculturation process of the global workforce. International Journal of Manpower, 219^), 492-510. ISNAD Maimunah Ismail, Aida Hafitah Mohd Tahir and , Ismail, Maimunah . "Cross-Cultural Challenges and Adjustments of Expatriates: A Case Study in Malaysia". Alternatives: Turkish Journal of International Relations 6 / 3&4 (December 2007): 72-99.